If you’re an avid boxing fan and a gaming enthusiast the one game you’d have to have at the top of your Christmas list this year would be the new EA Sports boxing game … if only it existed. 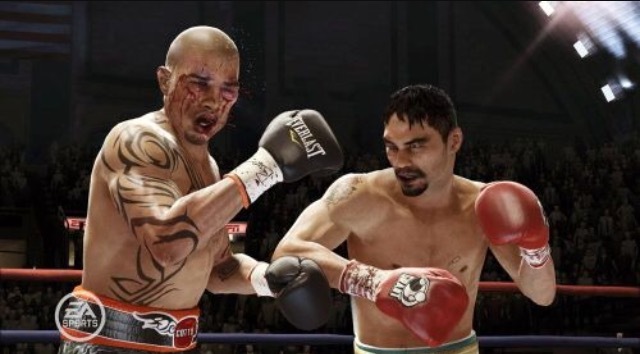 Since EA Sports launched Fight Night Champion in 2011 boxing as a sport has dramatically increased in popularity, but calls for a new boxing game compatible with the new generation consoles have been largely ignored. With rumours and demands circling many were hopeful of an announcement at this year’s Electronic Entertainment Expo (E3), but hopes were washed away when nothing official came from EA, despite a petition signed by almost 5,000 people in efforts to persuade them to create a new boxing game. EA put the Fight Night franchise on hold after Fight Night Champion was released, instead turning their attentions to UFC games which was understandable with the rise of the sport. For years UFC has played second fiddle in the world of combat sports to boxing but with the immediate emergence of superstars like Conor McGregor and Ronda Rousey the sport has taken off. The UFC game was undoubtedly worthy of the second game that was released in March this year after the first game took to the shelves in 2014 selling 1.45million copies across the PS4, XBOX1 platforms. At UFC 205 McGregor made history by beating Eddie Alvarez to become the first UFC fighter in history to hold two belts simultaneously in different weight divisions. Reports suggested the event drew in a record-breaking 1.65 million US pay-per view buys, surpassing the previous UFC PPV buys of 1.6million when McGregor faced Nate Diaz in their much-anticipated rematch. These gigantic numbers have led to reports suggesting McGregor alone drew twice, nearly triple the number of buys than the entire sport of boxing in 2016. Though it is a credible argument to suggest UFC is on the cusp of equating to or even overtaking boxing as a sport, in perspective these numbers mean little. Though boxing right now hasn’t got a Conor McGregor, it did used to have a certain commodity who could sell tickets like hotcakes and that was Muhammad Ali. His fight of the century with Joe Frazier makes McGregor’s numbers look meniscal and almost insignificant as 27.3million people in the US tuned in to watch the fight between Ali and Frazier. Even more recently Mayweather vs Pacquiao in the ‘fight of the century’ pulled in a whopping 4.4million purchases. Despite Boxing losing its biggest PPV seller in Mayweather to retirement, Pacquiao has bought in 1million buys several times before and is now back in the ring. Elsewhere with the likes of Canelo Alvarez, Vasyl Lomachenko, Anthony Joshua and more, these big-name superstars could generate similar numbers to the ones drawn in by UFC, providing they have a comparable, credible dance partner. While EA made a correct call to focus on UFC games, an identical sized if not larger audience is crying out for their turn. The audience and popularity is there in boxing, Frank Warren’s recent multi-million-pound TV deal with BT Sport is testament to that and the gaming community, well that doesn’t need such justifying. It’s huge. Chances are, if you own an Xbox 1 or PS4 and you like boxing or sporting games, you’ll most likely purchase it. The long five years since Fight Night champion needs to be drawn to a close. Though it was labelled as the most well-received boxing game it was still a game that lacked convincement – every knockout no matter what position you threw the punch from would result in the opponent falling in the same melodramatic and unconvincing fashion. It lacked care, maintenance and thought process. But now with the technological advances and the vast improvements in gaming quality in terms of graphics, gameplay, game options and capabilities, it’s crying out for someone to grab the bull by the horns and give us a high-quality boxing game to rid the memories of the last one. If EA were to go ahead they’d have to consider whether it’s worth re-branding the franchise or naming it ‘Fight Night 5’ or ‘Fight Night Champion 2’. The general consensus among the fans is that they’re hoping for a Fight Night Champion 2. Though essentially part of the same anthology the Fight Night games and Fight Night Champion game does differ. Fight Night Champions focused on depicting the tangible, coarse reality of a boxer in the career mode and was targeted at an older audience in comparison. When the first Fight Night was released in 2004 they became a regular product on gaming shelves, with round 2 and 3 coming out the following years. After two UFC games in the last two years it’s been the UFC fans who have been reaping such benefits of having a new game to enjoy, but with five years without one could it be time for the boxing fans’ turn? Hopefully. It’s fair to say since the last EA boxing game the sport has ventured uphill in terms of popularity, particularly in Britain, but it still remains unclear what it will take to make EA budge, perhaps the news of a certain Irish MMA fighter making the switch from the octagon to the ring might entice them?